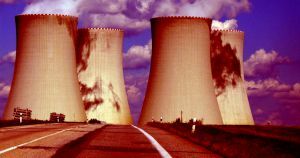 We do have a viable way to avoid climate catastrophe, though, according to these experts — and it centers on a lot more nuclear energy. Even if every nation implemented renewables at the same pace as Germany, a world leader in the space, we’d only hit about one-fifth the global target for clean electricity. At that rate, it’d take 150 years to fully decarbonize the planet, according to Goldstein and Qvist — but numerous climate scientists estimate we only have about three decades before we hit a climate tipping point. But the number of people who died as a result of the Chernobyl disaster — which the experts claim was the only fatal nuclear power accident in 60 years — pales in comparison to the number who have died as a result of other, nonnuclear industrial accidents.